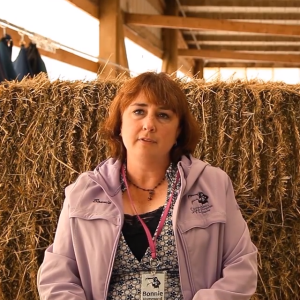 Bonnie Hammond loves her work with SAFE horse rescue. 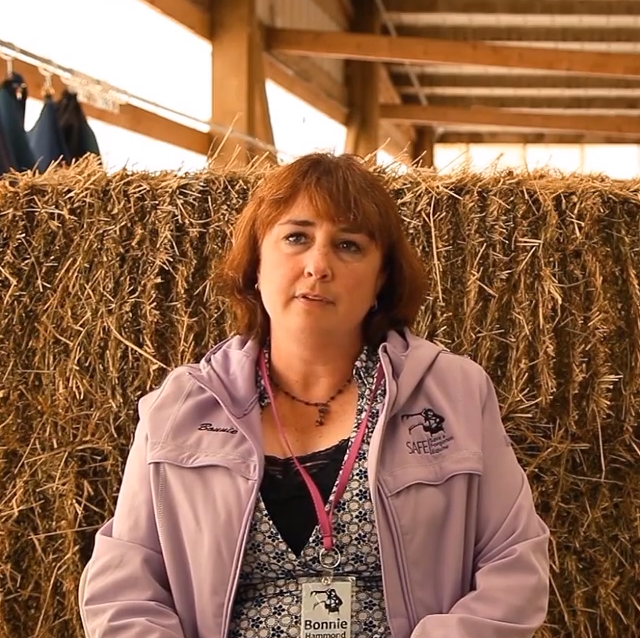 Bonnie Hammond is the executive director and co‐founder of a very special organization called Save a Forgotten Equine (SAFE) in Woodinville, WA. SAFE’s mission is “To rescue, rehabilitate, and retrain horses facing neglect or abuse and provide them with the best opportunity for a permanent home and a lifetime of safety.” This is an extremely challenging but rewarding goal that can make a huge impact on both the lives of the horses and those caring for them. Read on to learn the top 5 reasons why you should consider adopting a rescue horse. 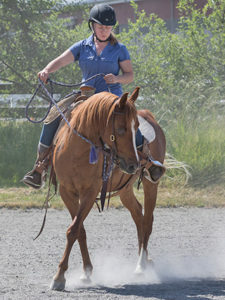 SAFE started with an online group who wanted to work together to raise money and rescue a single horse from a Washington slaughter pen. After six months of successfully rescuing this one horse and several others, the group realized that they could do more for the animals by actually providing rehabilitation and retraining. SAFE was formed in November 2005. Over the years, SAFE has helped many horses in the local area. Still, they remain a small organization taking only 27 horses at a time. They operate on a shoestring budget and greatly depend on donations and volunteers. The focus of SAFE is to not only rescue these abused, neglected and unwanted horses, but also to make sure that they are healthy and well‐trained equines that can safely go to a new “forever home.” Horses that come to SAFE come from animal control seizures, or from owners who can no longer afford to care for their animals. The horses that are in the most desperate situation are sometimes taken to Northwest Equine Stewardship Center (NWESC) where they receive specialized veterinary care and observation from Dr. Hannah Mueller and her staff. 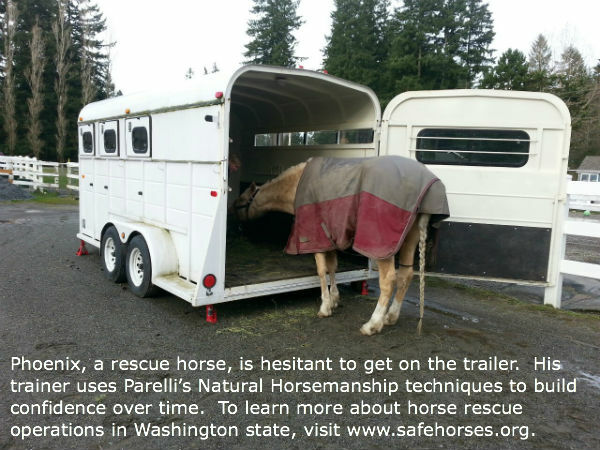 This is SAFE Rescue horse, Phoenix, learning to load onto the trailer. Once the horses are stable and eating normally, they will leave the center and begin the process of retraining. “In order to get horses ready to be adopted, we want to create what we call a “good equine citizen.” A good equine citizen is a horse that is safe to handle and a horse that can do the basic skills.” This means they have good ground manners and know how to behave for the farrier, vet visits, baths, fly spray, or allow themselves to be caught in the pasture. This training is extremely important. 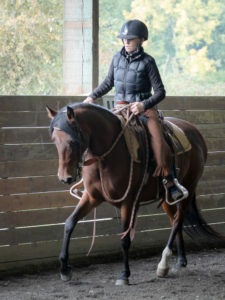 The horses also receive under saddle training and are worked to the point that they can easily handle walk, trot, and canter under saddle. This includes exposure to trail riding. From here, they are ready to undergo more specialized training including disciplines like jumping or even dressage. Regular updates and videos on each horse’s training progress are available on their website for potential adopters to view in advance. 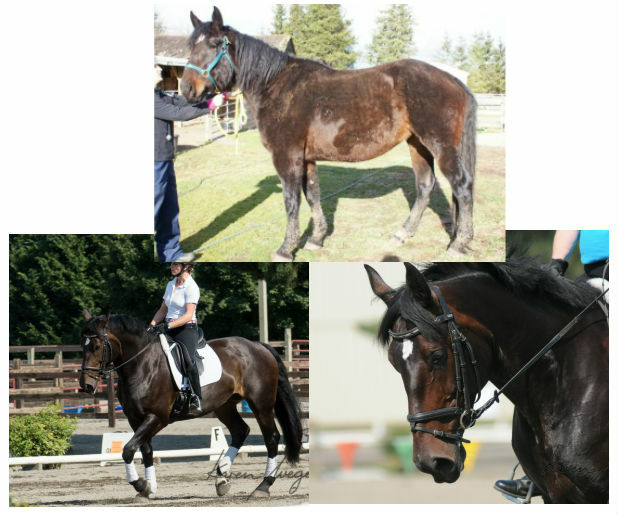 Delilah’s before and after pictures show her journey from starved mare to dressage champion. There are many challenges that go along with this operation as well. Bonnie said she is frustrated by the never‐ending need for rescue services. “The biggest challenge is that the need never seems to slow down or go away. There are always horses out there that are in bad conditions…It’s a struggle not to let that continual need get me down.” She also cautioned against the over breeding of horses, saying, “Foals are amazing. They’re beyond adorable, but they grow up in to 1200 lb animals that need a lot of care and a lot of space. We end up with so many horses that are unwanted due to backyard breeding.” She said it’s important to have a plan for that foal’s entire life. As you can imagine, the SAFE operation needs a great deal of equipment to operate their farm and transport their animals. They currently use a three horse trailer to transport their animals, although “one of our wish list items would be to have a trailer that is a little taller inside. Our biggest horses, when put into our current trailer…their ears touch the ceiling.” Also on their wish list, they would love to have a SAFE‐owned truck to haul the trailer as well as a custom horse trailer that could be used to haul their two mascot mini‐horses to promotional events like parades and school events. Horse rescues really know their horses. If you were to rescue a horse from a slaughter pen, you would have no idea the horses training and natural temperament. It’s much better to rescue a horse from an organization like SAFE where they’ve taken the time to rehabilitate and retrain the animal under saddle and in hand. They know the animal really well and can help you find a really good fit. Videos, photos, and training updates are available on the SAFE website and they are going to be very honest about the horse’s vices so that they can make a good match for horse and rider. 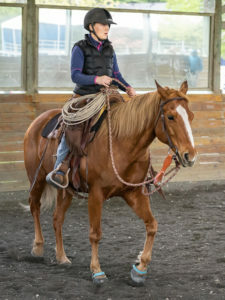 Bonnie’s #1 tip is to make sure you take the time to really get to know your potential rescue horse beforehand since these resources are available. It’s your chance to give back. It is truly a wonderful thing to give back to a horse who has been abused. “We exist to make up for the fact that other humans have mistreated this horse. By rescuing them, it’s our chance to say we’re sorry on behalf of the people who don’t do right by horses,” said Bonnie. Rescue horses can go on to do great things! Just look at the story of Delilah who became a successful dressage horse. These horses have the potential to be wonderful and talented companions. They may come to the rescue underfed and run down, but that doesn’t mean that they don’t have loving hearts and intelligent minds. Rescue horses can be wonderful companions for many different types of people. Take an active role in your local horse rescue, and you can ensure that these animals have a second chance at life. By adopting one of these animals, you can free up the space for another desperate animal to be brought in for help. We encourage you to find your local rescue operation and get involved to make a difference. For more information about SAFE rescue in Washington state, visit their website at www.safehorses.org. What you had to say about trailer training your horse was really interesting. I agree that training them to get over their fear of trailers would be important in emergency situations. I’ve always wanted to adopt a rescue horse, and I would also try to get a comfortable trailer for him in case he needed to be transported.